As some of you may know, I’m being published by G.P. Putnam’s Books for Young Readers. Putnam is an imprint of Penguin. 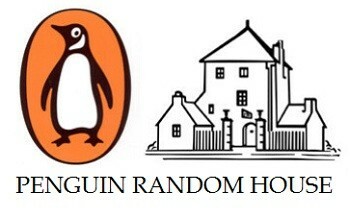 On October 29th, Penguin agreed to merge with Random House. The move is being touted as an “essential” response to Amazon’s ever-growing clout. The deal is likely to be finalized towards the end of 2013, after approval from market regulators. Together, Penguin Random House will be the world’s largest book publisher, responsible for 25% of the global market. … I’ve been trying to figure it out myself! On the large-scale, I think Penguin Random House is likely to be the first in a series of large-scale mergers, and that the publishing industry is going to respond to the popularity of the e-book by consolidating much like the music industry responded to the boom in online mp3 sales by consolidating. Whether this will make it more difficult (because there are fewer overall publishers) or less difficult (because, with a more stable financial base, the houses are more willing to take risks on debut/different authors) for new authors, non-traditional narratives, and diverse perspectives to get published is yet to be seen. …On the small-scale, I’m pretty sure this means that I should get cracking on my second book! I don’t want to fall through the fingers of this new giant just because I’m a slow writer. So wish me–and all the Penguin Random House authors–luck: I’m off to write!